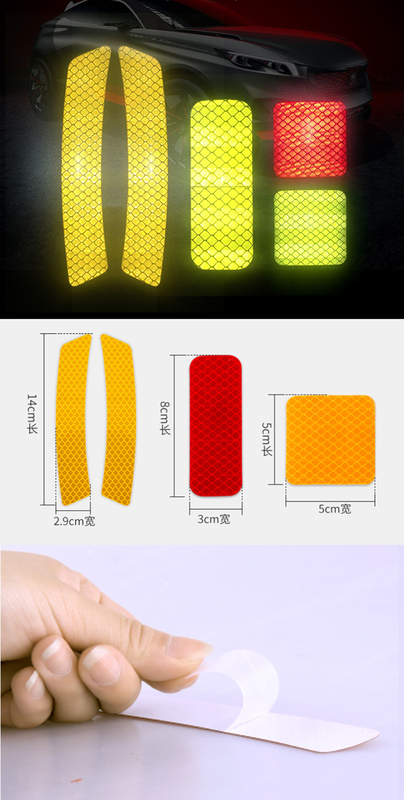 Superior Quality, Made of PET, environmentally friendly, waterproof and sun block, never fade, can use for long time. Self-Adhesive Tape, Built-in strong adhesive tape at the back of sticker, not easy to fall off. OPEN Warning Stickers, Warning stickers show normal color in the daytime, when it meet light in the darkness, will reflect. A useful warning mark for passerby car in the night. Easy to Clean, Sweep one corner of sticker with fingernail, and tear. Have no scratch for car and keep clean.